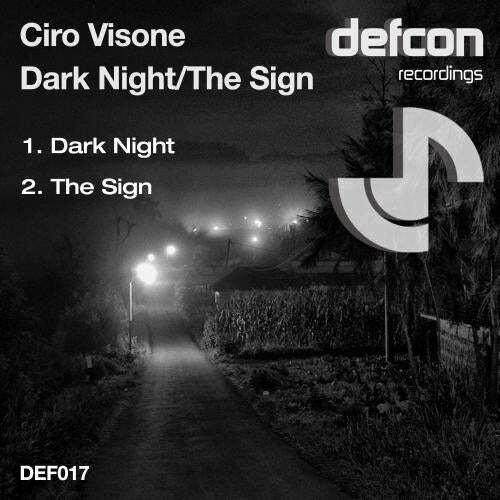 Italian producer Ciro Visone makes his debut on Defcon with his brand new 2-track EP, which again captures his signature uplifting style that has won him many admirers in recent years. Title track Dark Night is a chunky, melodic number with an infectious lead riff, complimented by a pumping bassline and massive strings. Flip-side track The Sign has a more classical grace to it, staying uplifting and floaty with the melodies. Triumphant strings and epic synths make this track a real treat. The first of two releases due on Defcon, this EP is sure to please Ciro's fans and win him new ones in the process.